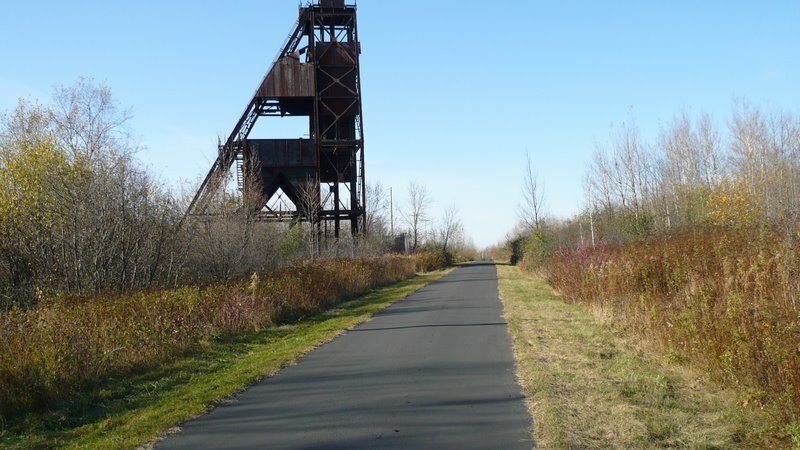 rides on the Mesabi Bike Trail between Hibbing & Chisholm. -Thanks! Doug Schmitz , a key member of the Mesabi Trail "Team", joined us for this Thursday night ride and was kind enough to take this PHOTO and Birdie, the Team again, posted it on the Mesabi Trail site. BRAINERD, Minn. (AP) - The trail rises and falls with dramatic twists and turns, like a trail would in the heart of the Cuyuna Country State Recreation Area. 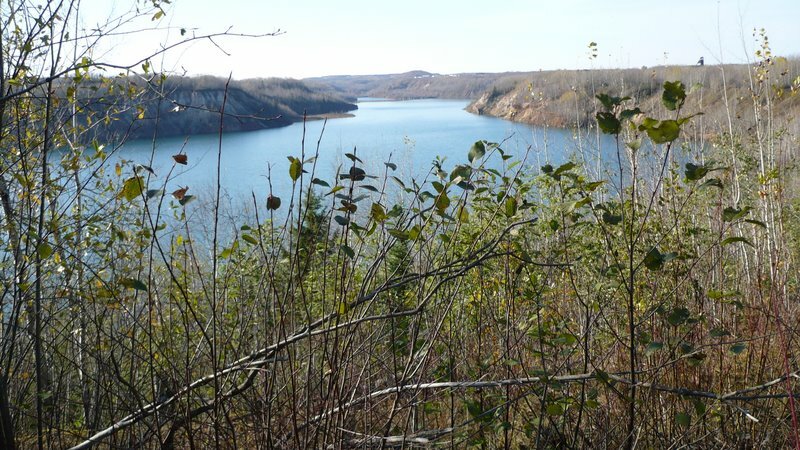 That's part of its beauty, and the beauty of the area winding through and around the mine pit lakes of Cuyuna Country is undeniable -- but, some might say, that's the dilemma. Those rapid descents will make for some blurry runs for hard-core mountain bikers when the highly anticipated world-class trail opens in the CCSRA sometime this spring. Some members of the Cuyuna Group of Minnesota Off-Road Cyclists half-jokingly wondered out loud during a recent meeting if that didn't in some way defeat the purpose of what they see this trail to be. It's the beauty of the surroundings, of those rapid ascents and descents back dropped by towering pine trees and deep-blue mine pit lakes that's the draw for these folks. And, they say, how can you truly enjoy the beauty surrounding those awe-inspiring descents when you're busy barreling down those runs? In that sense, the beauty of this trail is absolutely in the eye of the beholder, with something for everyone -- from those who prefer to meander along the trail and enjoy the view to those who are more focused on navigating a trail that, in their eyes, will be nothing more than a blur of red clay, handlebars and knobby tires. For them, the beauty of the landscape is how it translates to these heart-racing runs. Regardless, all of that beauty will be on display when the trail finally opens. The trail has been in the works for years, and for many of those years, it was a conceptual thing. But anticipation grew last spring, when the trail began to take shape. And again last fall, when it was thought the trail might open. But those associated with the trail didn't want to rush something they had nurtured for all those months. A winter under its belt before encountering what they expect to be heavy tire traffic would be good for the trail, they thought. So it was pushed back. Now, the last traces of winter are the only thing between mountain bikers and a trail designed especially for them. Names already are being attached to the 30 or so loops that make up the approximately 24-mile trail -- names that resonate with the area and the mining community, such as Man High, Trout and Crusher. The mountain bike trail also will utilize the paved trail already existing within the CCSRA. "The question has been when will the trails open this spring?" said Steve Weber, park manager at the CCSRA. "When the conditions allow and we're able to go through and do a maintenance sweep." Emergency types were trained last fall on the unique situations that Cuyuna Country might present. And yet this spring, "Emergency personnel will be doing steep-angle training. They probably haven't done that before," Weber said, adding that a thorough mapping system also is in the works. "There's been a lot of behind-the-scenes stuff. A lot of credit goes to these local guys," he added, motioning to those in attendance at the recent Cuyuna Group of Minnesota Off-Road Cyclists meeting. While the trail will open as soon as conditions allow, it won't be complete until late May or early June, when a 65-foot bridge linking the trail between the Pennington and Portsmouth mine pits is added. 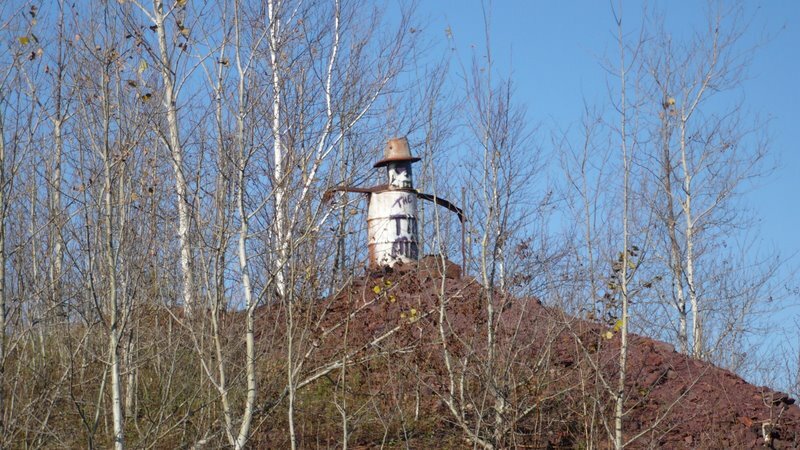 So it should be in place for the DNR's grand opening of the trail June 10, being held in conjunction with the first Cuyuna Lakes Mountain Bike Festival June 11-12 in Crosby and on the trail. "It (the bottom of the bridge) will be 10 feet above the water to allow for navigation," Weber said, referring to boat traffic on those popular fishing pit lakes. "It (the bridge) is prefabricated. It will be coming in one piece. A crane will drop it in place and they'll bolt it down. They'll still have to do all the concrete work. It's pretty much midway through the trail. It's a real big piece (of the puzzle)." While it's not just for travel via knobby tires, this trail was made with mountain bikers in mind. "There will still be hiking," Weber said, "but we're not promoting it as a hiking trail. It's not set up for them. 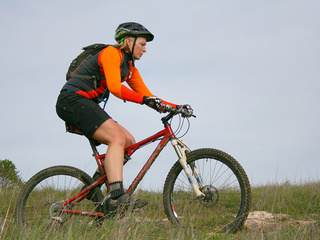 All the literature has been toward mountain biking. It's a different world out there." Sunday, March 20th, 2011 article on the upcoming Spring opening of a dedicated 24 mile mountain bike trail in the heart of the Cuyuna Country State Recreation Area. Long Awaited Minnesota Mountain Bike Trail to Open. Thanks Hugh V. for the link. "Up North" Ride - 1992 - A Flash Back! !